No Flow Until You Say So! Prevent unauthorized draft beer pouring after the bar is closed. 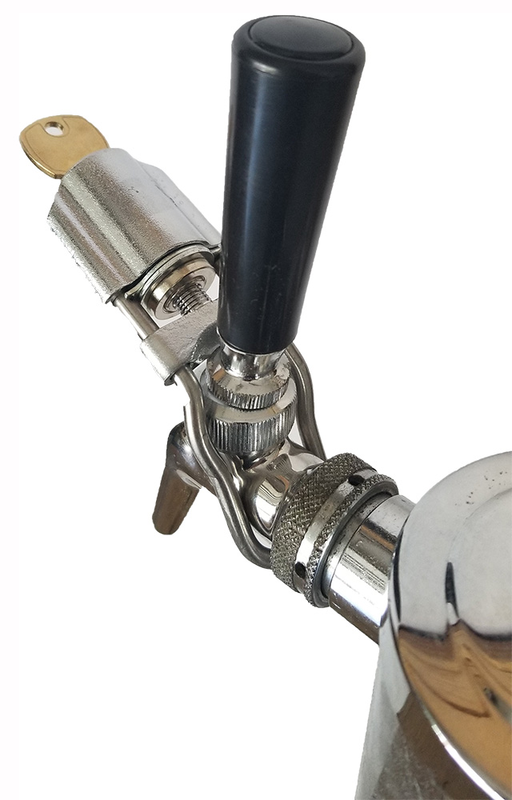 Simply slide this beer faucet lock onto the existing beer spigot and with a few turns of the key, your draft beer is secure. 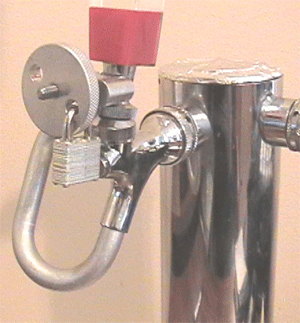 Designed to prevent the faucet handle from being moved forward to dispense beer. This is the Fort Knox of Tap Locks. Once the metal wheel of the Ultimate Tap Lock is tightened against the tap handle, slip on the padlock and rest assured the beer handle cannot be pulled forward without the key. Heavy duty stainless steel tap beer faucet lock that will work with standard style faucets, Perlick 500 series faucets and even beer faucets using Turbo-Taps. To determine if you have a Perlick 500 or 600 series beer faucet, look at the faucet lock guide chart on the main tap lock page since these beer faucets look alike. The bottom nut on the 500 series is 7/8" in diameter as compared to the bottom nut on the 600 series faucet that is 1" in diameter. This heavy-duty stainless steel tap beer faucet lock is designed to work exclusively with the Perlick 600 series beer faucet. Look at the faucet lock guide chart on the main tap lock page to make sure your beer faucet is a Perlick 600 series and not the 500 series since these beer faucets look very similar. The bottom nut on the 600 series is 1" in diameter as compared to the bottom nut on the 500 series faucet is 7/8" in diameter. This tap lock was designed exclusively for the MicroMatic 304 draft beer faucet. 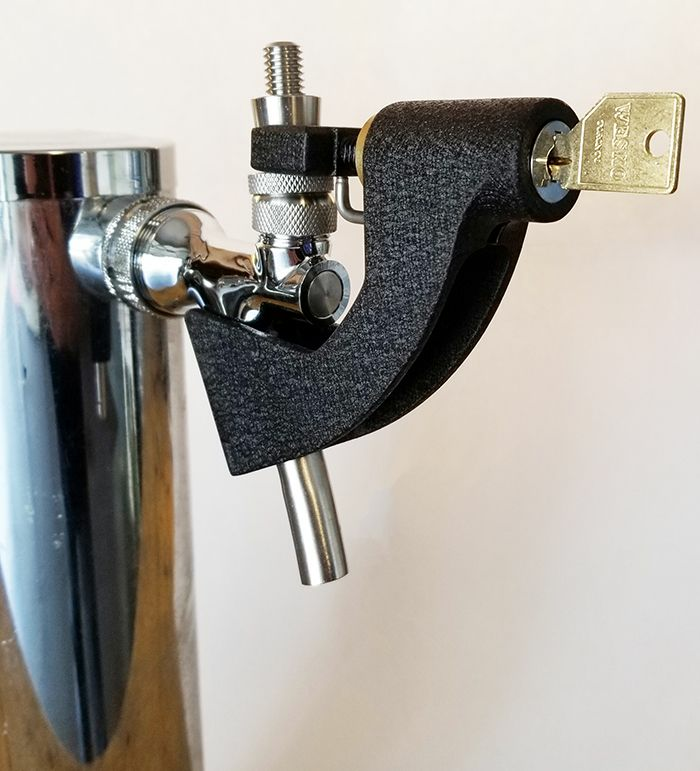 Simply slide the lock onto your 304 beer faucet, then turn the key to secure the faucet handle into the closed position to prevent it from being moved forward to dispense beer. 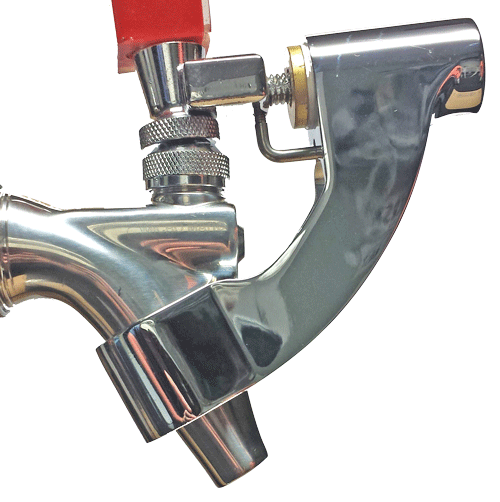 Protect your Celli draft beer faucets with our European Tap Lock. Simply slide this beer faucet lock onto the existing European-style beer spigot and with a few turns of the key, your draft beer is secure. This tap lock is designed to prevent the faucet handle from being moved forward to dispense beer. All Celli tap locks are keyed the same. Stop unauthorized pouring from Guinness-style beer taps with this unique stout faucet lock. Crafted from stainless steel with built-in o-rings that will seal the Guinness-style faucet spout to prevent beer from being dispensed. Each Guinness Faucet Lock requires a special-sized padlock to secure the Guinness beer faucet and we provide this specialty padlock. Turn off the draft beer from inside the beer cooler. 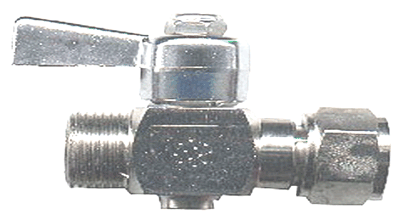 This simple to install stainless steel valve will restrict the flow of beer from the keg to the beer faucet. Simply shut off the beer and lock the cooler door to prevent unauthorized beer consumption after closing hours. This method is much better than untapping the keg and depressurizing the beer every night.